The students plan to start the rally at 9 a.m. Saturday at Tranquility Park near City Hall. 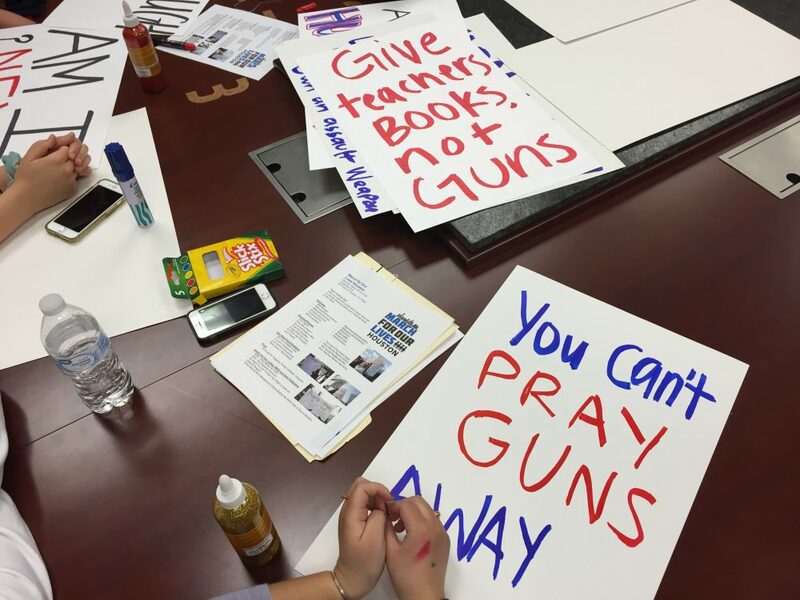 More than a dozen students gathered this week to make signs for the local March for Our Lives rally, which could draw upwards of 10,000 students. Thousands of teenagers are planning to rally in downtown Houston for stricter gun laws Saturday, joining the national movement called March for Our Lives and marking what could be the largest such student protest in Texas. Sixteen-year-old Paige Cromley said that school shootings have made headlines most of her life, even before she was born. So when students in Parkland, Florida, declared they would put a stop to school shootings, she was inspired. “The students want action,” Cromley said. Since then, Cromley has helped organize the local March for Our Lives rally. First, she took it over from a teacher and since then, student organizers have developed several committees to work on different strategies. 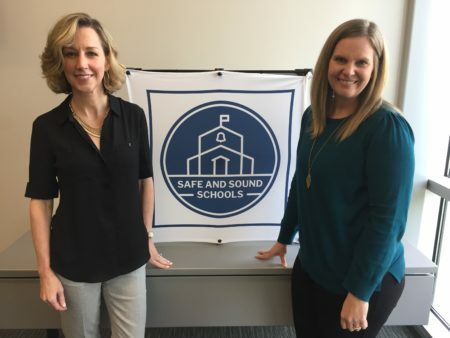 They’ve drawn student representatives from more than 80 schools, including middle schools, universities, private schools and various districts. Cromley herself is in tenth grade at the John Cooper School in The Woodlands. “We’ve had enough of these people in power telling us nothing can be done when clearly it can be. In other countries, things aren’t like this. 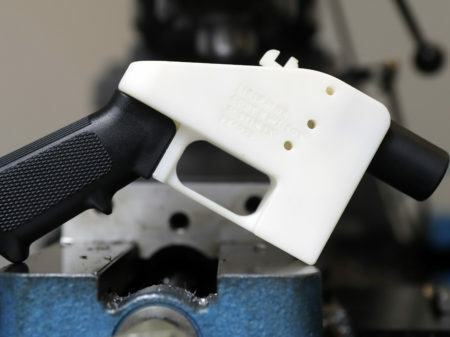 We want positive comprehensive action, we’re tired of just thoughts and prayers,” she said. Cromley said that students have used text messages and social media to organize — though adults have helped with legal details and permitting. As about two dozen students gathered to organize for a massive student rally for stricter gun laws, more than half of them said they’ve faced pushback from their school administrations. They attend a diverse group of schools including HISD, Spring Branch and private schools. 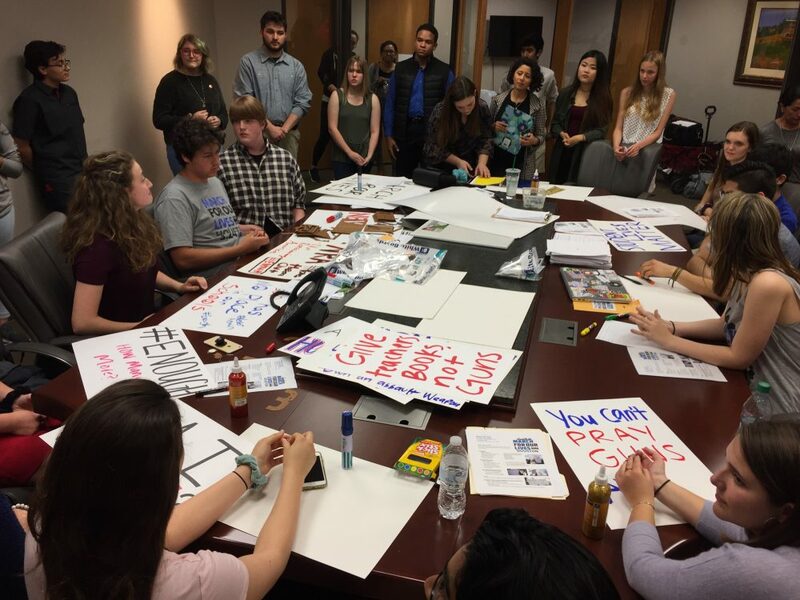 On Tuesday evening, more than a dozen students gathered in an office near the Galleria to make signs ahead of the rally. Cromley announced that Houston Mayor Sylvester Turner would be joining before she headed off to fundraise. Madeline Lake, who is 16 and attends Conroe High School, said that they’ve drawn support from both Democrats and Republicans. Lake said that they’re asking for more background checks, raising the age limit for certain weapons and more support for mental health issues. Marcel McClinton, who attends Spring Branch ISD, said that he wants to stand for victims of gun violence. 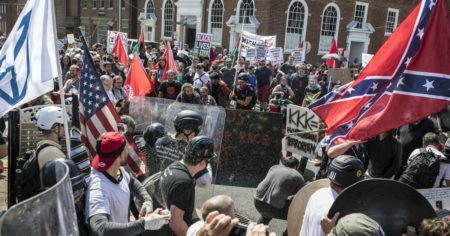 “Considering that this is not just a Houston thing and there are hundreds of marches going on around the country and around the world now, to a politician that means you can’t ignore this,” McClinton said. 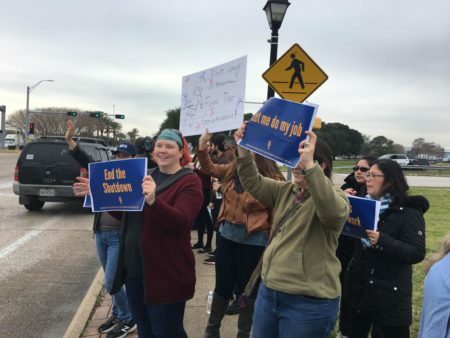 The students plan to start the rally at 9 a.m. at Tranquility Park near City Hall and afterwards, plan to march to U.S. Sen. Ted Cruz’ office, since he’s accepted more donations from the National Rifle Association than any other Houston-area politician.